Explore details on this stunning and mystical destination dubbed “the best kept secret in archaelogical Ireland” at www.loughcrew.com. Shiva was drawn to the Loughcrew Cairns some years back with Demetri and felt a deep connection. She shared her passion for this sacred location with Kate this summer, inspiring the manifestation of this retreat. 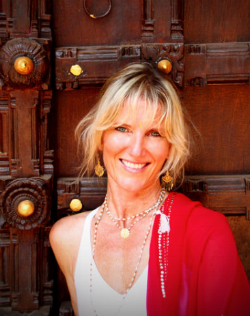 Read more about Shiva Rea and her alchemical and elemental approach to yoga via Prana Flow at www.shivarea.com as well as clicking on the links above to understand more about the practices Shiva and Demetri will be offering during this retreat.